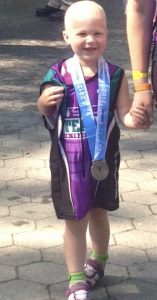 Riprap Friends are continuing to make a difference in the daily lives of children fighting cancer. Every smile goes a long way in powering them through the next challenge on their journey. 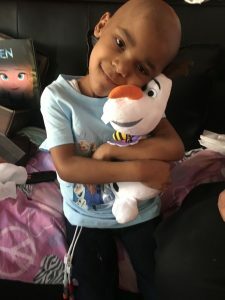 Because of your support, we are able to connect with more children and serve more pediatric oncology clinics each year. Once again, Flywheel will be hosting a charity ride for Riprap Friends. Kate Hickl and Jaimie Bailey will be leading a meaningful, fun and exhilarating ride at the Flywheel Chelsea Studio. 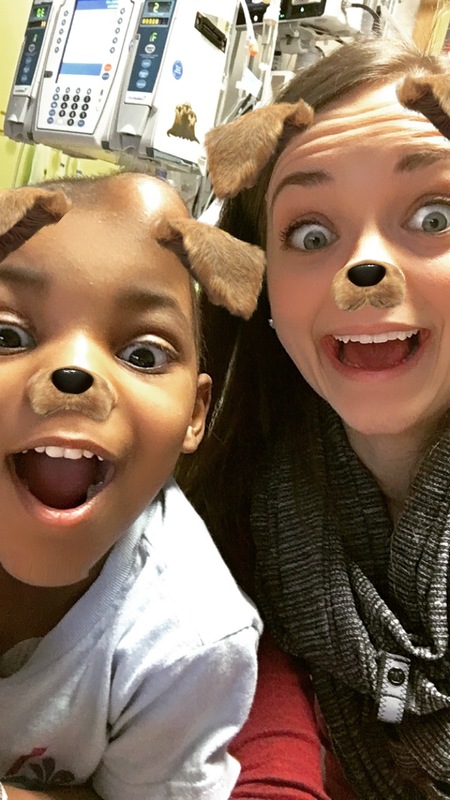 As always, all donations go directly to activities and services for the kids we serve! If you aren’t able to make the ride, you are still welcome to join for lunch afterwards, and we deeply appreciate donations in any amount. Donate! I have so many! One of my most recent favorites was in working with a young boy only two and a half years old, who is more fluent in Portuguese than English. After a few sessions of figuring out the best way I could work with him and engage him musically, I ended up making up a silly voice to speak as his favorite action figure, “The Hulk”. One session we used a drum machine program on my phone to make a beat and then I ended up making some verses in my voice for the hulk with a chorus that the boy would sing a long with. He seemed to be having such a good time. That moment really stands out to me! How did you get into teaching? : I got into teaching soon after moving to NYC. I had worked as a nanny and then a substitute and after school teacher while also running a songwriting program for kids. Moving to teaching both guitar and songwriting felt like a natural progression to combine both my skills in music and my years of experience working with kids and in education. Being a Riprap friend has been so meaningful to me, and I definitely get as much out of it as I can hope to give. My pursuit of music over the years can often feel difficult, and self centered as I try and express myself through music and get some sort of positive feedback. To get to take my love of music and my love of improvising and being creative and use that to engage with someone else, and help them nurture their own creative voice. Getting to do that feels like such an honor and such an amazing way to be productive in a musical way outside of just my own personal music. It means getting to share a unique experience and use my life long passion for music with others in a truly meaningful way and I am so grateful for that. Fun fact about yourself: I am originally from Maine and love nature. I recently went scuba diving in Belize and got to pet a nurse shark! September is Childhood Cancer Awareness Month and Today is National Daughter Day. Saturday, September 29th, 2018, should be Mariah Cooper’s 5th Birthday. This Saturday, over the final weekend of Childhood Cancer Awareness Month, I will take on Ironman Maryland. 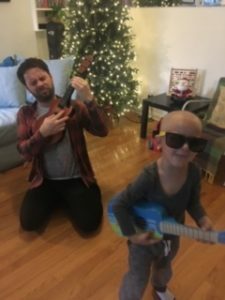 It is a personal life goal, but really, it is the culmination of 7 years of sweat and tears shed to power through my daughter’s battle and my family’s journey fighting childhood cancer. 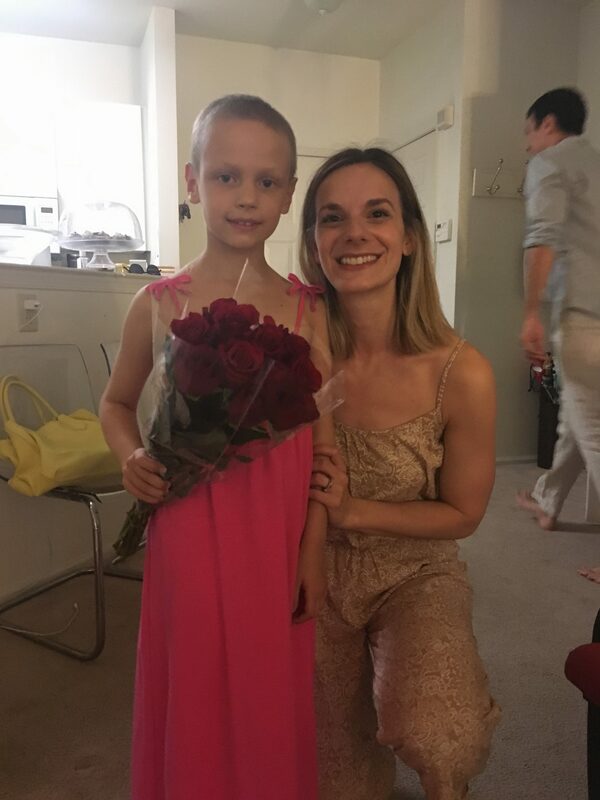 As we close in on the milestone of 5 years out from treatment when hopefully Lily will become a survivor, nothing short of this event could provide the release of overwhelming emotions – fear, hope, rage, gratitude, sadness, awe – churning within. 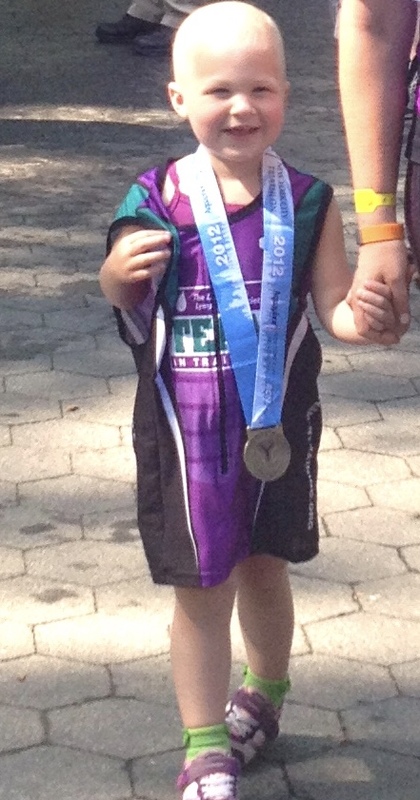 I can’t falter a step when I think of my own daughter’s unwavering strength and heroic bravery even at age 3. My efforts will also be dedicated to another truly incredible child. 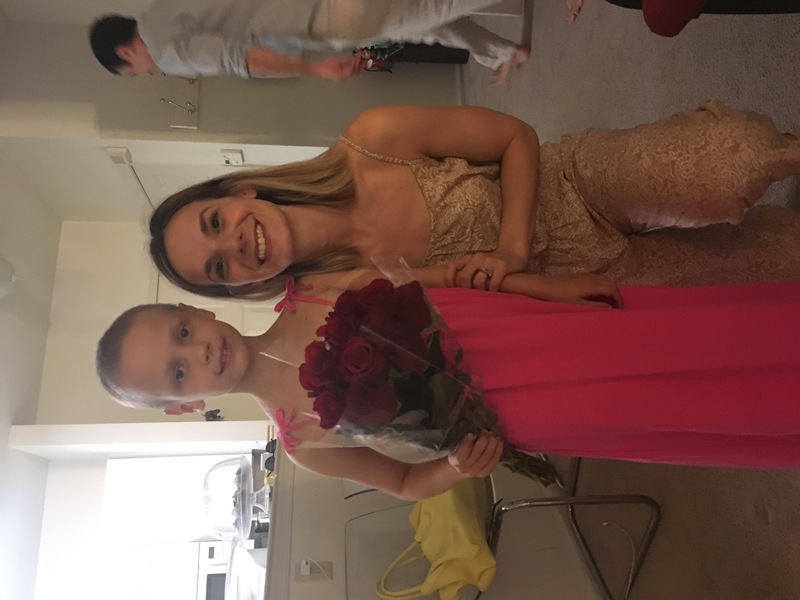 Mariah Cooper moved the heart and soul of Riprap Friends, and if she had not lost her courageous fight with cancer over the summer, she would be turning 5 on Saturday. Please consider supporting the meaningful experiences Riprap can provide for children like Mariah. Any amount goes a long way in growing Riprap’s ability to reach more children. Support Riprap! Before RipRap introduced me to Mariah almost exactly a year ago, I didn’t believe in soul mates. But in a way that is difficult to put to words, I knew after a few times of seeing her that we were, in a very special and rare way, soul mates. Mariah was a child who was never meant for this earth. She was made of so much bigger and brighter and wilder and deeper things. Her love, for life and her family and me and dogs and any other living thing and doughnuts and pickles and the color blue, was fierce and relentless. She had the fearless tenacity and precocious gumption of a child, and an empathy, wisdom and selflessness that exceeded that of any adult I’ve ever known. She was strong in the face of pain no one should ever endure and was soft and warm in her grace for those she loved. We all talk about how she was inarguably her most strikingly beautiful, powerful and, honestly regal, towards the end, when her body was merely a fleeting vessel for a soul that transcended it with its blinding brightness. We continue to love each other, to love fully and deeply and without fear even when it is scary or hurts. And we dream and create and celebrate birthdays and anniversaries and stand in the sun a little longer than usual and push our healthy bodies the extra mile knowing that she would be furious if we didn’t . Which is why this Iron Man, Tracey’s own journey of blood, sweat and tears, is such a fitting testament to Mariah and to RipRap, journeys that are all about grit and strength and brutal battles and transcending the physical limitations by reaching deep down and high up for something greater to drive us on and lead us to the finish line. 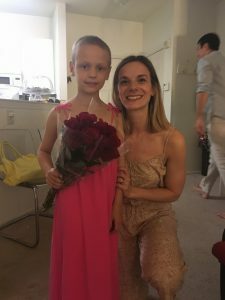 Riprap Friends are continuing to bring joy and love to the days of children fighting cancer. It is meaningful and powerful work that makes an uplifting impact on all those touched. 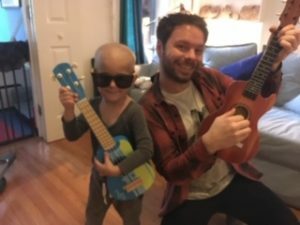 Patients, siblings, parents and Friends all share overwhelming gratitude for the connection and experience. Riprap Friends needs your support to make our work possible. All donations go directly to services and materials for the children we serve. We are beyond thankful for the support of Namaste New York to provide an amazing self-care experience to support Riprap Friends. Please join us, at 400 West 12th Street, 11am-2pm, April 26th, for mini yoga and guided meditations each hour, mini thai massage sessions, yummy bites and good company! RSVP! Your favorite Riprap Friend moment so far: I was working with a child where at their first session, they were so shy they couldn’t look at me, talk to me or even feel comfortable moving their bodies, by the end of the session, her mother is telling me she can’t stop dancing and asks mom every week when I will be back. What being a Riprap Friend means to you: All I can think about is how I can be a positive energy and light during this time in this child and Family’s life. I wanted to go into teaching because I wanted to make an impression, be a good influence, help people and share my knowledge. Being a RipRap friend means all of this to me: being consistent, positive, flexible and patient. How did you get into teaching? : I always taught or assisted dance classes, at my local studio and later at a mentor’s dance studio in Toronto. It wasn’t until I attended NYU’s MFA program in dance where I realized educating young people in movement or in general was something that I was passionate about. I decided to go back to school for education to incorporate my love of dance and theater with educating young people. Fun fact about yourself: If I could, I would eat Thai food everyday! The name “Riprap Friends” comes from the word for a stone wall used to armor shorelines against water erosion. We will provide a metaphorical armor for pediatric cancer patients and their families against some of the often overlooked erosive characteristics of that disease: social, creative, and emotional isolation that can be a severe impediment to full recovery. We understand that a child’s wellbeing depends on a variety of important factors, and among those factors is the child’s ability to be creative, intellectually stimulated, socially engaged, to have the opportunity to make meaningful choices in his or her day-to-day life, and most importantly, to have the support of family and friends during their medical treatment. Riprap intends to facilitate all of these things in the name of bettering the overall health of childhood cancer patients. Support Riprap Friends in 2017! It’s not too late to make a tax deductible contribution to Riprap Friends in 2017! Your contribution goes directly to activities and materials for the children we serve. By supporting Riprap Friends, you are bettering the overall health of children fighting cancer. We can’t do this without you! Donate today before the clock runs out on 2017! Riprap Friends, Inc. (“Riprap”) is a New York not-for-profit corporation, formed under the New York Not-for-Profit Corporation Law and registered as a public charity with the New York State Office of the Attorney General. Riprap is tax-exempt under Section 501(c)(3) of the Internal Revenue Code, and all contributions are tax-deductible to the extent permitted by law. Tax ID #47-4857624. A copy of Riprap’s latest annual report may be obtained, upon request, from the organization, or from the New York State Attorney General’s Charities Bureau, Attn: FOIL Officer, 120 Broadway, New York, NY 10271.